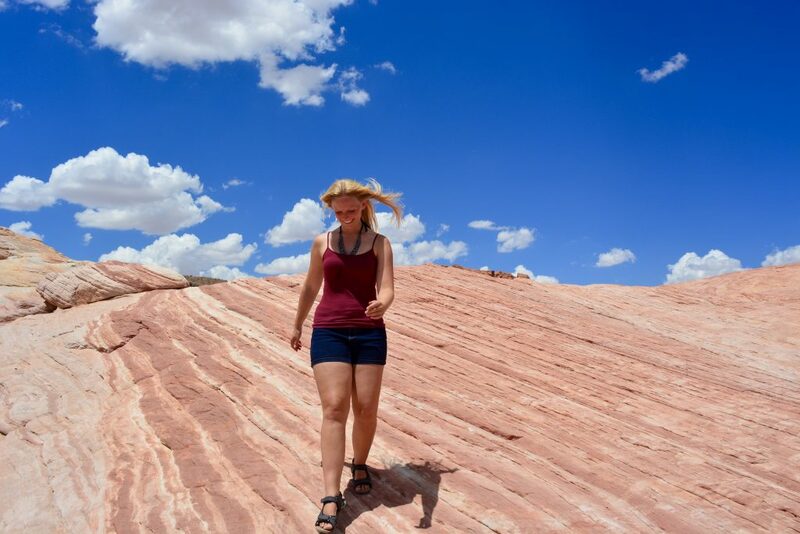 Daytrip from Las Vegas - Valley of Fire - Zion Nationalpark - Go on adventures! I made this daytrip in August and loved it. 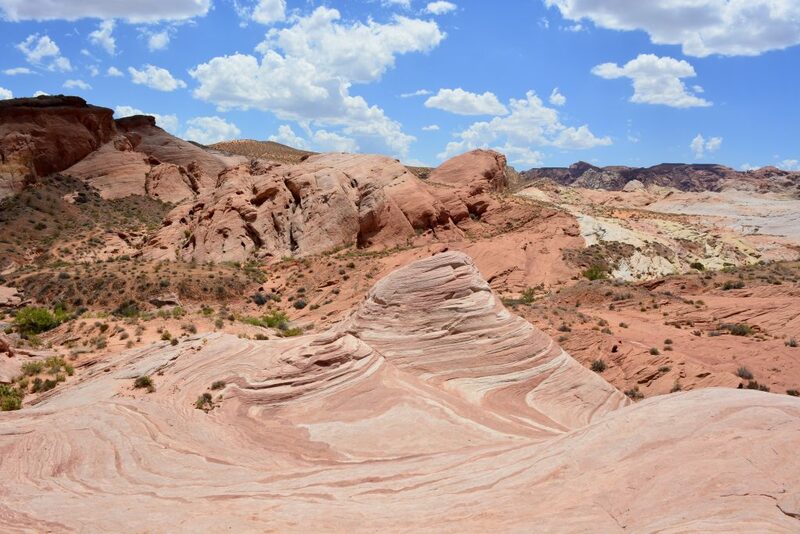 If you only have one day to spare while in Las Vegas, this is a nice route to enjoy some nature. I flew to Las Vegas for the weekend and enjoyed one day at the Death Valley and one daywith this roadtrip 🙂 The area around Las Vegas is way to incredible, to just sit in a hotel building or walk around the strip in my opinion. 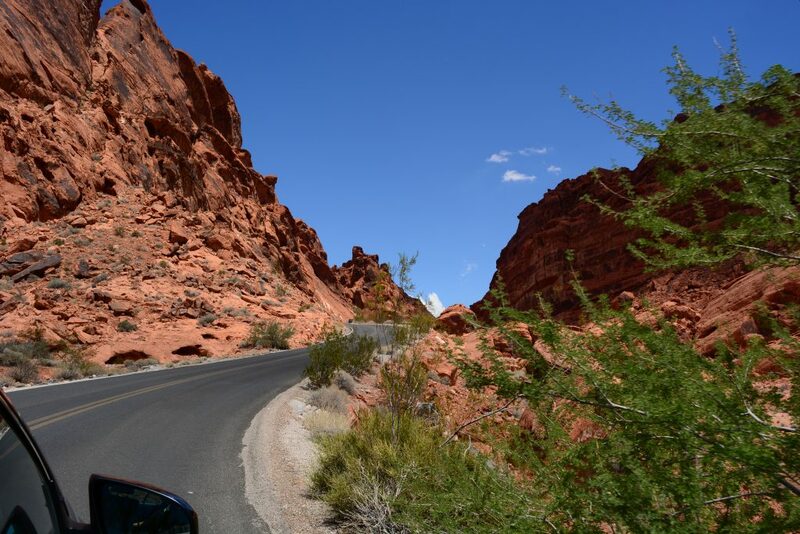 First stop is the Valley of Fire State Park (entrance fee is 10 $ per vehicle and the America the Beautiful pass is not valid over here!) 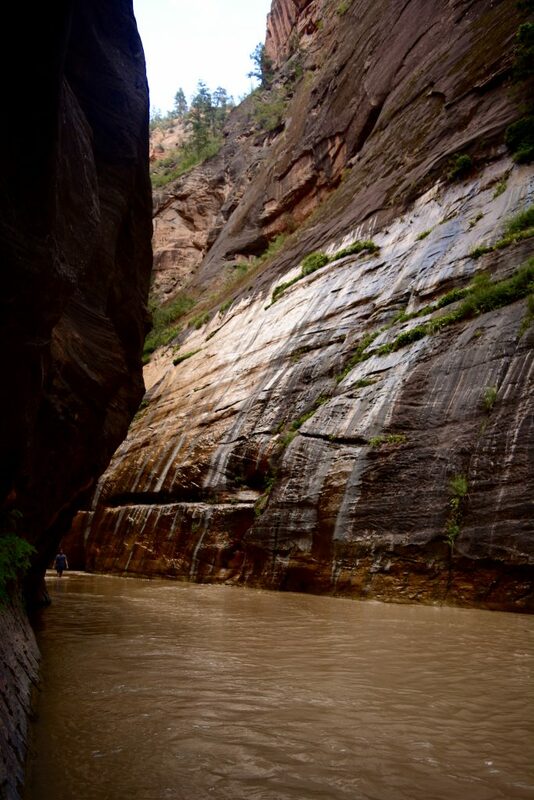 and second stop is Zion Nationalpark (30 $ entrance fee per vehicle, but the America the Beautiful pass is valid). After entering the park we took the scenic drive to Arch Rock. It is marked as a dirtroad – but you can easily access it without a 4-wheel drive vehicle. Just drive carefully. The views are really nice – the colours are beautiful. 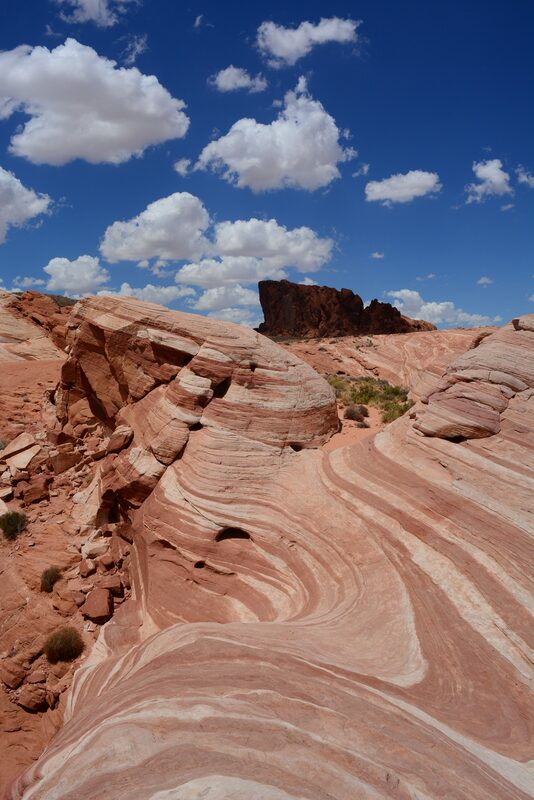 You will be surprised how much beauty awaits you only a 50 minutes drive away from this crazy, big city Las Vegas. Make a few stops on your way through the scenic road – there are some beautiful sandstone formations! 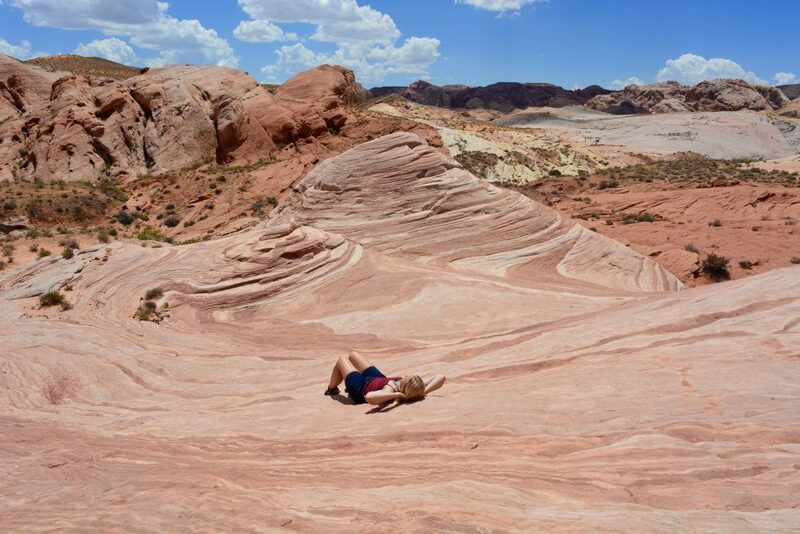 This is one of the coolest things in the park and an absolute great spot to be for all the people out there, who didn´t get permits for The Wave in Paria! It´s breathtaking out there! The hike is a short one. I completed in August and it was extremely hot – but it was still possible! Just don´t forget to bring enough water for the hike!!! It is just a beautiful place to hang out at – enjoy some breakfast, take a thousand pictures or just take a deep breath.. 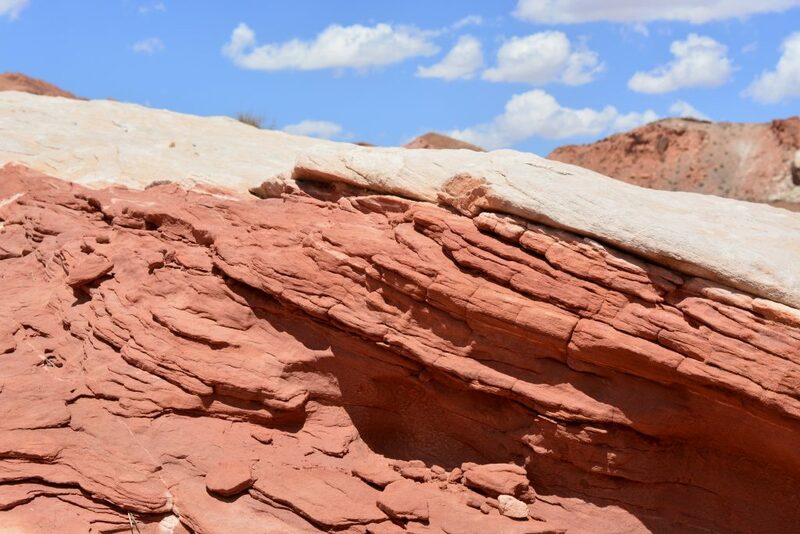 If you have some time for this park left, or if you decide to only do the Valley of Fire State Park as a day trip without Zion Nationalpark, check out the White Domes trail as well. Never did it so far – but I heard many good things about it! 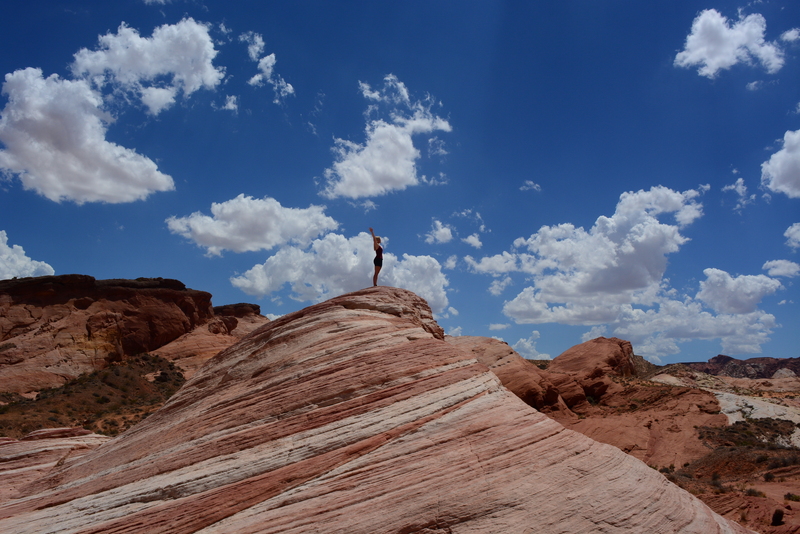 Afterwards drive out of the Valley of Fire State Park – next stop: Zion Nationalpark! 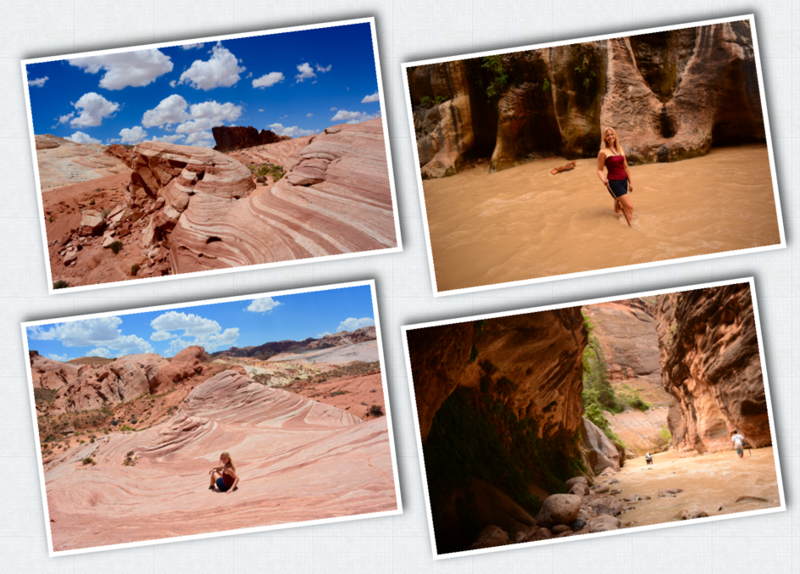 Zion is 2.5 hours away from the Valley of Fire State Park. The park is amazing and full of beautiful nature! 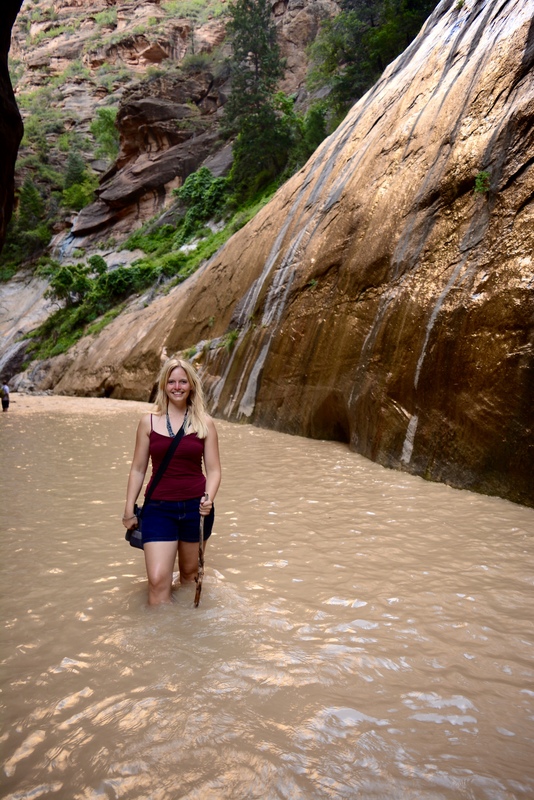 I advise you to come back at another time, to explore everything of the Zion Nationalpark – if you only have a day available from Las Vegas this tour is perfect, to get a little inside of what awaits you at the Zion Nationalpark. 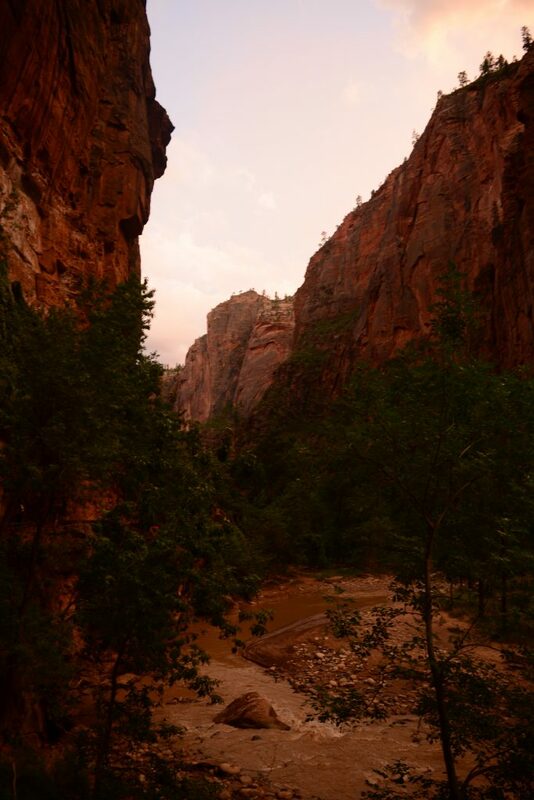 But if you are on a roadtrip, make sure to camp at Zion Nationalpark – one day is just not enough 🙂 If you have more than one day make sure to add Angel´s Landing to your list! 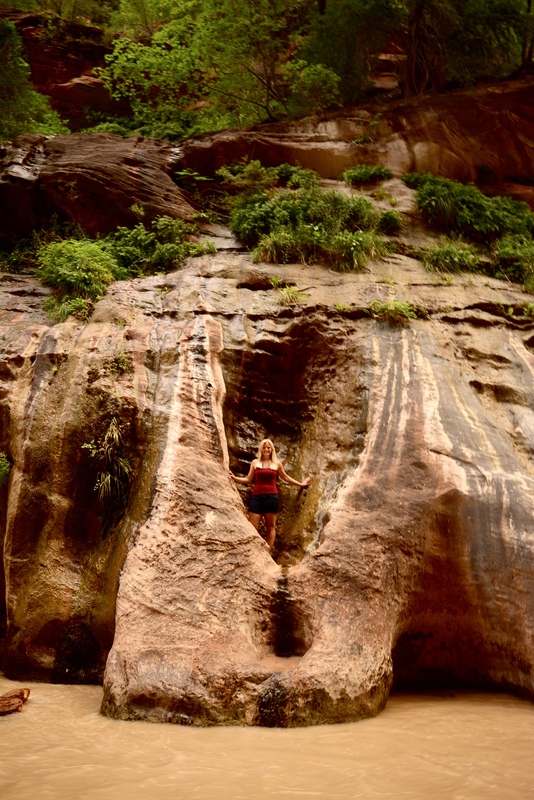 I am still sad, that I wasn´t able to do this hike – it looks SO cool! So if you are on the daytrip: enter the park and park your car at one of the shuttle bus stops! You can only explore the park without your car 🙂 Shuttle busses are running frequently and are for free. You can read more about the shuttle system here. Make sure to inform yourself, when the last shuttle bus leaves! 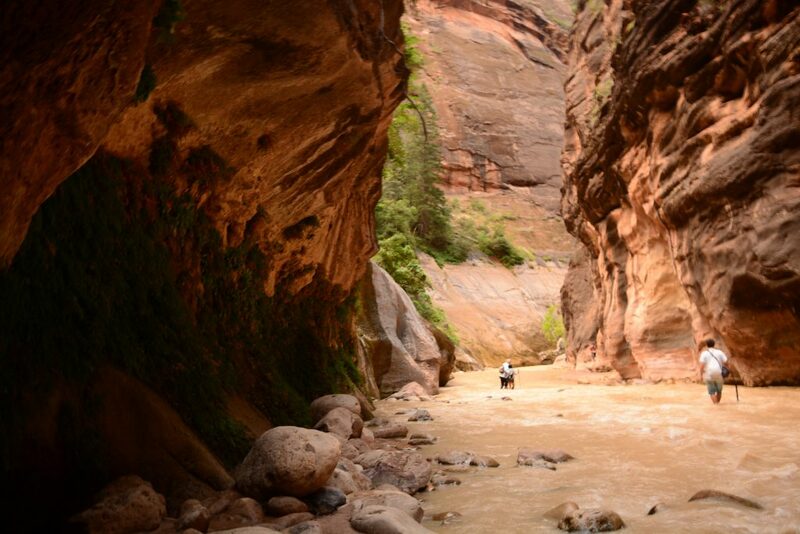 I advise you to do a trail called The Narrows! Take the shuttle bus to the last station “Temple of Sinawa”. The trail starts here 🙂 You will walk a few hundred meters on a normal trail. But this is not the fun part! The fun part begins, when you have to enter the water. You will have to hike through water for the rest of the trail. It´s beautiful! Just keep walking – the scenery is beautiful! But have a look at the time to keep the last shuttle bus in mind… This is very important! 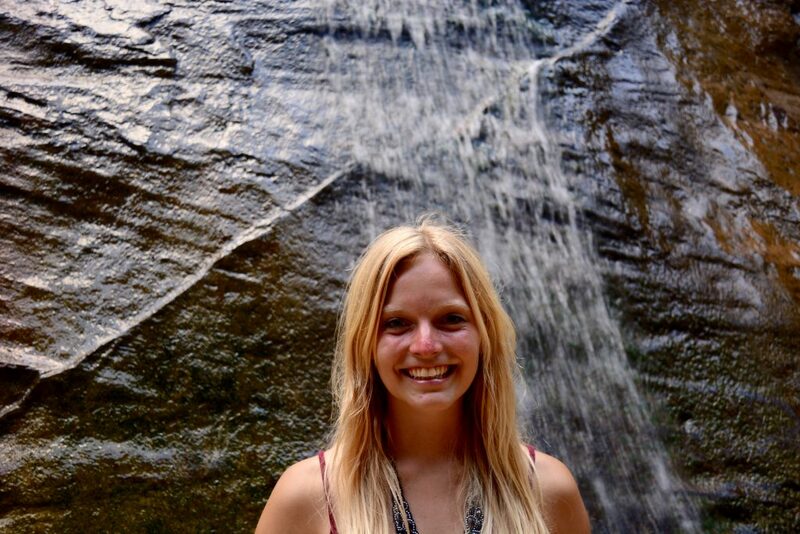 This is one of my favorite hikes! The time (late afternoon/early evening) is perfect to wander through the Narrows, because there are not so many people, the sun is not high enough to let you sweat and the colours are beautiful. 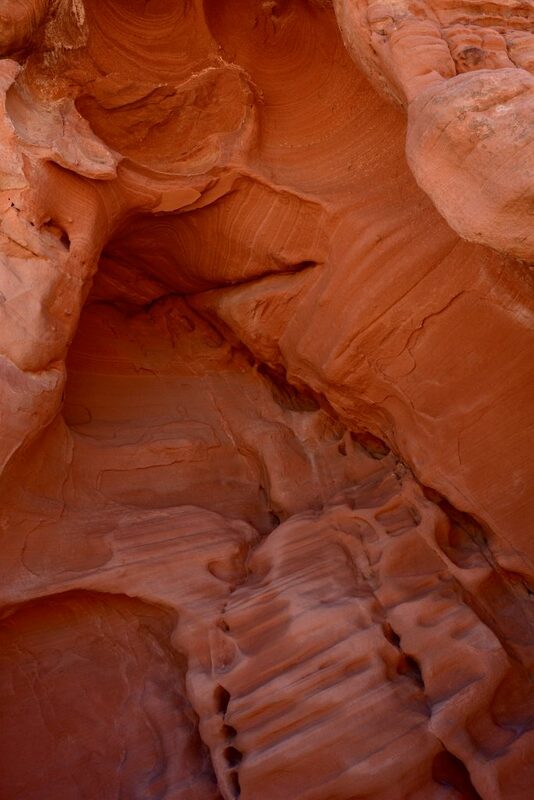 The formations of The Narrows are also really gorgeous and are chaning a lot while the hike. When the sunlight is leaving, you will be glad to turn on your flashlight and hopefully be on your way out of the Narrows to catch the last shuttle bus 😉 We reached Las Vegas at 11 pm – so this is the perfect time to enjoy a bit of Las Vegas at night. Where else can you visit Paris, Venice, New York and many more in one night?